I believe the kids are such a creature which are most hard to deal with. And if you are having some toddlers in your home, you got to keep an eye on them every moment because you can not take the risk of leaving them just at their own. As the toddlers are not aware of what is good for them and what is not. So you have to look for them every moment. We have made countless pallet furniture items for adults, but today we have decided to do something different. 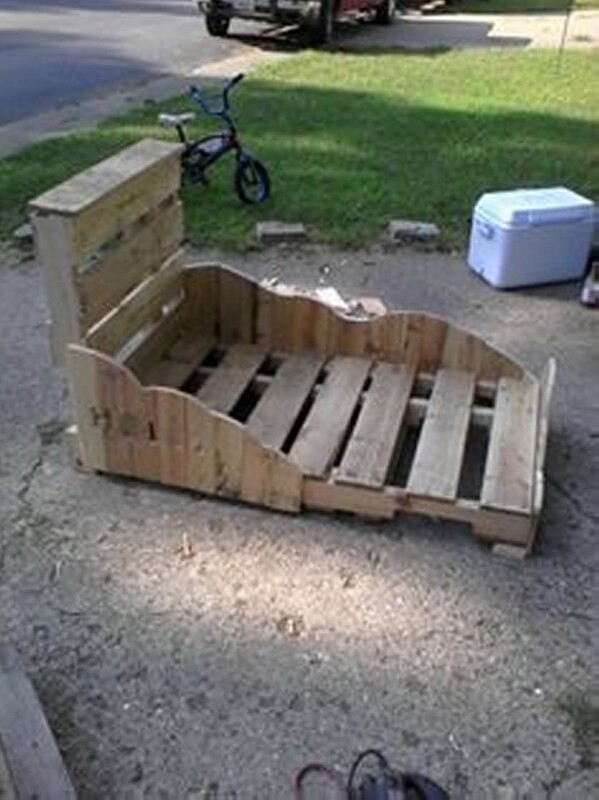 We have planned to make a pallet wooden bed for the toddler. What do you expect from a bed that is especially designed for your toddles? First of all it should be comfortable enough so that your toddler is completely easy sleeping on it. Then it should not be too high to minimize the risk of fall. Then it should have some side barriers which prompt your toddler from sleep crawling and prevents him or her from falling down. And lastly if it is also economical, then it certainly would be a great deal to go for. So today we are going to offer you such a gorgeous pallet toddler bed which has all these facilities. And is totally equipped for your toddler to give him all the ease and comfort you expect from an especially designed bed. 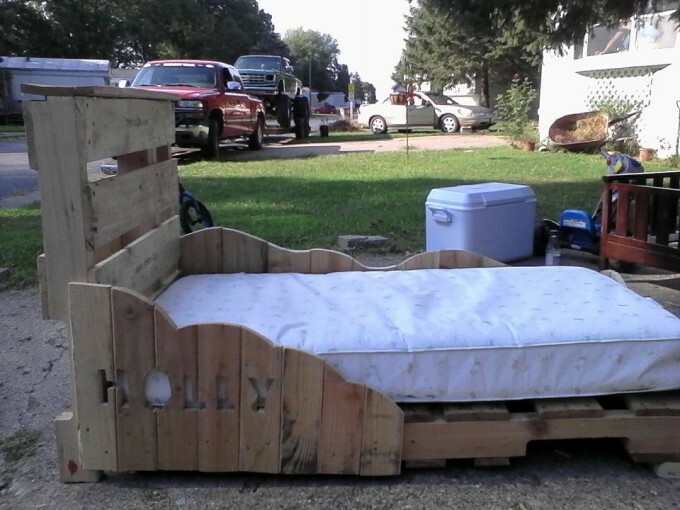 This entire bed is recycled with the wooden pallet, its headboard is having some robust planks and panels of pallet wood, while some straight plain wood planks are used in making the base of the bed. While some barriers are also intentionally made in order to prevent the toddler from falling down the bed. And then it is loaded with an ultra luxury fine spring mattress to comfort your small baby in every perspective.